Yes, I know it’s hard to believe, but it is me, talking about spiders and snakes (but not scorpions…). I still don’t want anything to do with scorpions, but I am trying to learn all I can about the other desert creatures we have here in our nature center at San Tan Mountain Regional Park… Why, because I live here 6 months out of the year so I decided I wanted to take advantage of every learning opportunity I have while I’m here, and it helps me answer questions our park guests have when they visit our nature center. I have come to love the coyotes that live in the area. Right now, while the weather is so nice, we sleep with our windows open, and I just love to hear them howl every night. We don’t have to worry about anyone coming in our windows at night, because first of all, we are secured within a fenced compound that we lock up at night, and second, our motorhome windows are up so high anyone would need a ladder to climb in.. I have also come to love our snakes, and tarantula, that we have in the nature center for our park visitors to enjoy. All of them are rescue creatures, or donations from schools within the area, so they have always lived in captivity being fed by humans, and could not survive in the desert on their own. The next few days Bill and I were off, and when we went back in for our next shift we were told that the tarantula had molted, and we saw her old skin which is now sitting out on display in the nature center for teaching purposes. You can see where the back of the tarantula just opened up and allowed the tarantula to wiggle its way free… which I also learned is not an easy process. 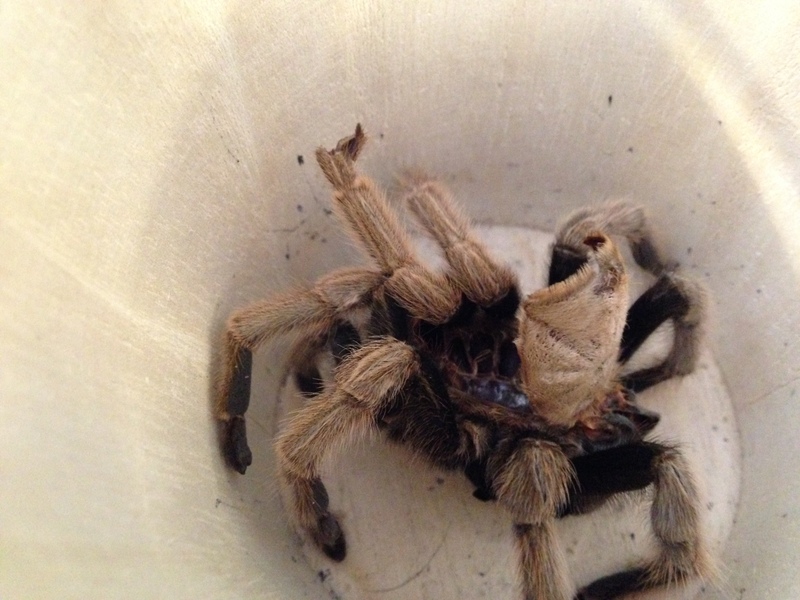 Once free of her old skin, our little tarantula girl looks darker and larger. This is her in the center of the picture below. 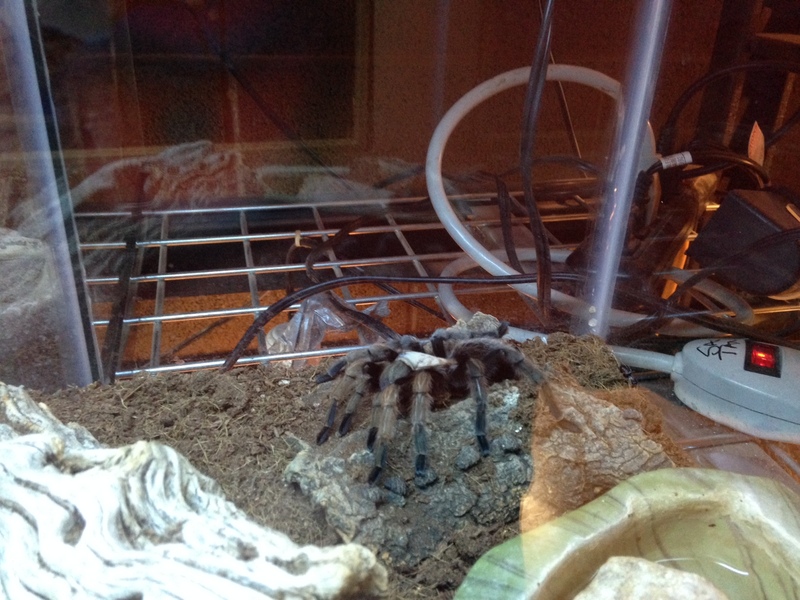 The molting process is something a tarantula goes through as they grow. They shed off their old skin, much like snakes. The entire molting process is a very difficult and strenuous experience for the spider. A couple of weeks prior to molting the spider will most likely refuse to eat. You many also notice small clear droplets of liquid seeping from its leg joints, this phenomenon does not happen to all tarantulas. The spider may also lose hairs on its abdomen and will appear to have a bald spot. The molting process can take anywhere from fifteen minutes to several hours. Disturbing the spider during the molting process could result in its death. Once the tarantula has emerged from its old skin, it will be extremely soft, tender, and sensitive. It is important to make sure the spider has plenty of fresh water but do not attempt to feed the spider for at least three days after molting. A cricket, which is food for a tarantula, can possibly harm or injure the tarantula if not enough time is given for the spider’s skin to harden. 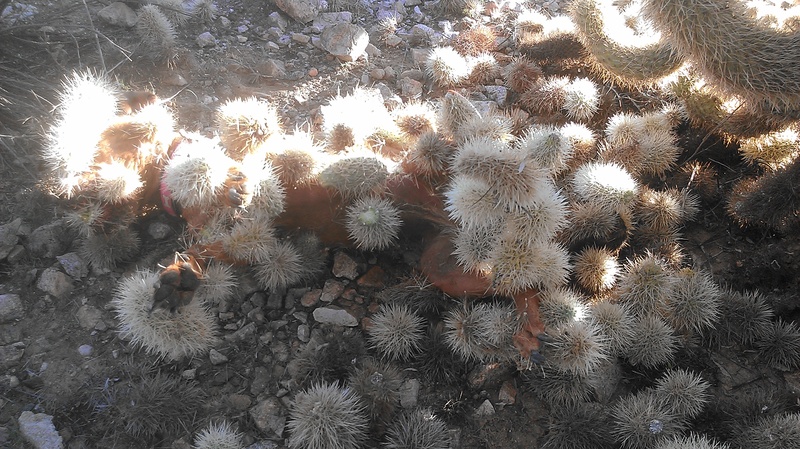 In my last post I shared a picture of what can and does happen when people go hiking with their dogs and let them off their leash in our desert environment. Everyone thinks their dog won’t run off, and we hear it all the time that “my dog will stay right with me and won’t run off…” Well, guess what? Just like kids, they don’t always “obey” especially when they see a rabbit, or other desert resident, dash across the desert floor. Below is the picture I shared in my last post to remind you what can and does happen when people fail to ensure their dogs are safe by keeping them on a leash at all times when hiking the trails here at San Tan. 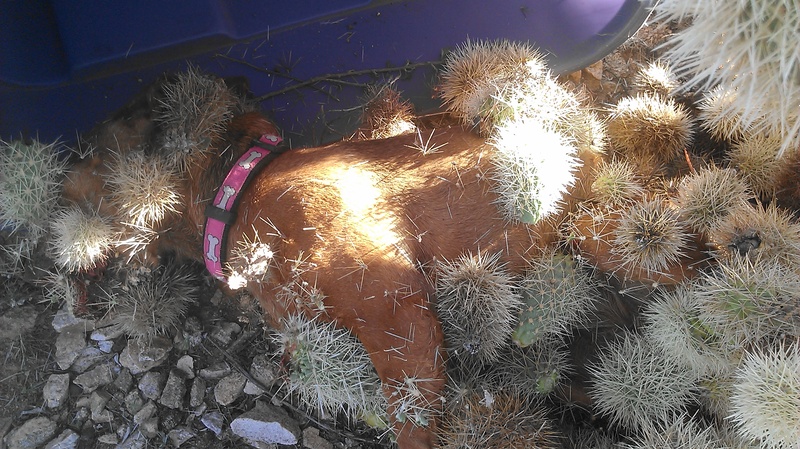 It took two vets, working together for several hours, to remove all the cactus needles from this little dog. The owner was VERY lucky that he found the vets he did and they gave this little dog a chance to survive the ordeal. In fact, the owner told the vet that perhaps it would be better to just put the dog down. But the vet said he felt the dog could be saved if they put the dog under sedation and at least tried to remove the cactus needles that covered his entire body, eyes, and were even in his mouth… When the vet told the owner there was a chance to save his dog, the owner told the vet if it was going to cost more than $5k, to just put the dog down because he couldn’t afford to spend anymore than that. 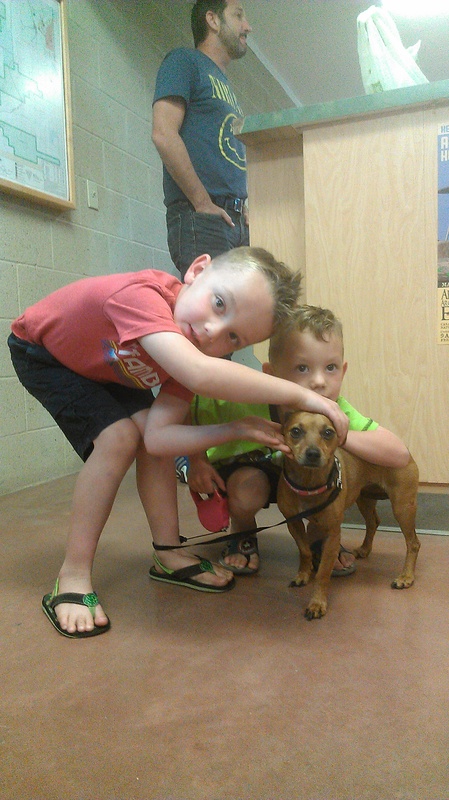 Today the owner stopped by San Tan to show us what the little dog looks like now. In case you are new to my blog, I want you to know that my husband, Bill, and I, retired last May. Sold our family home, and most of our possessions, bought a 39′ motorhome, and are now full-time RV’ers. Again… WARNING!! The following pictures are difficult to look at, but if it keeps one person from thinking their dog is “ok” off leash”, just know that this is what we deal with here at San Tan on any given day… Can you find the little dog in this picture? 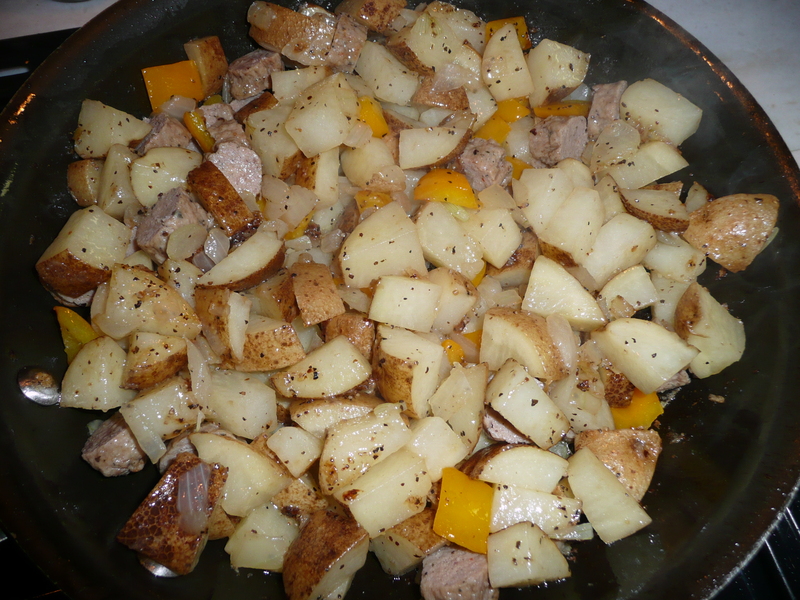 Rules are there for a reason…. Please keep your pets safe… They depend on YOU!!! As far back as I can remember, I’ve loved horses. As a little girl, I dreamed of living on a ranch, and having horses of my own to ride whenever I wanted… But my life path was full of many different twists and turns to say the least, all of which I am grateful for. Because, every step I took, and everything I did in my life, made me the person I am today, and brought me to where I am today, and I wouldn’t have it any other way. 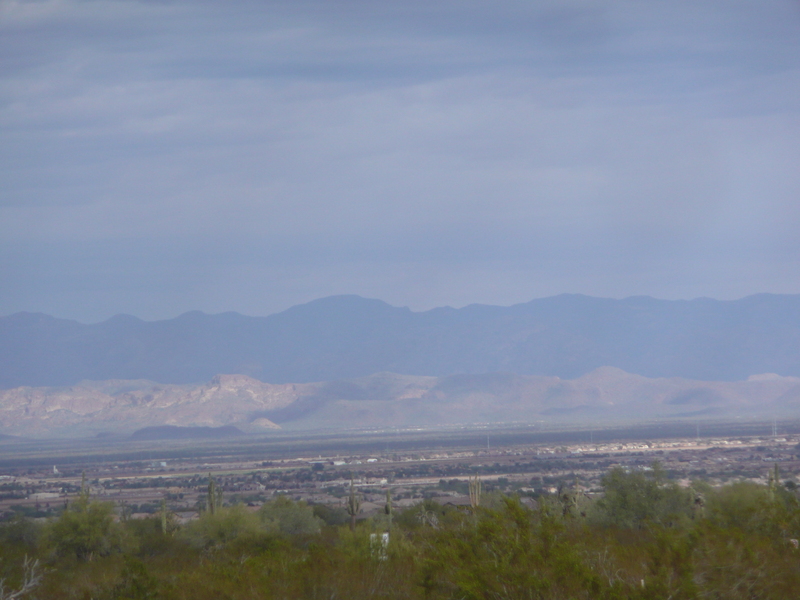 Bill and I work/camp at San Tan Mountain Regional Reserve Park in Queen Creek Arizona for the winter months. This park has over 10,000 acres of land, and over 20 miles of hiking, mountain biking, and horseback riding trails… We love it here, and we have made friends with all of our co-hosts, co-workers, and venders here at the park. Well, guess what…? 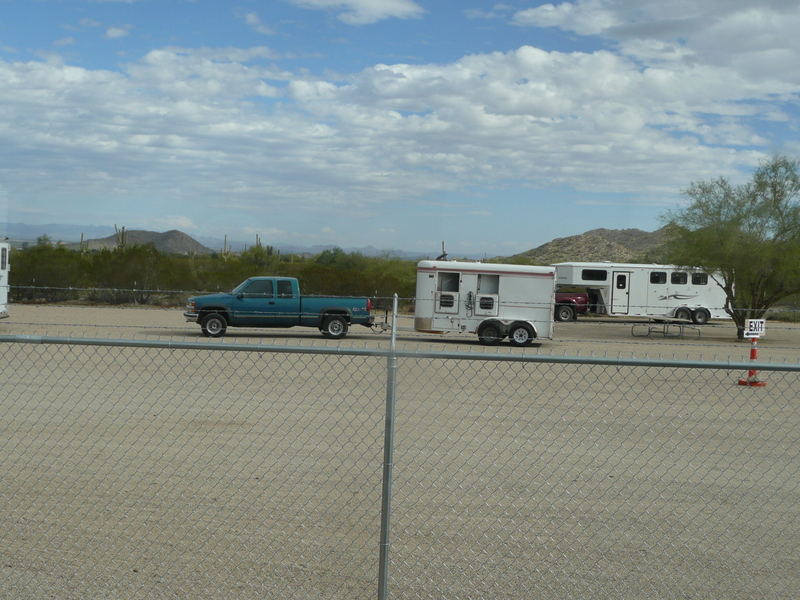 San Tan Mountain Park is “THE PLACE” for horse folks, and they come in droves… The picture below shows the early arrivals… but let me tell you the lot you see will be FULL of horse trailers and horses on any given day and this is all happening just outside our motorhome fence that you can see… So lucky me… I am living my dream of living with horses (I may not own the “ranch”, but I live here from Oct-may) and that’s all I need…. 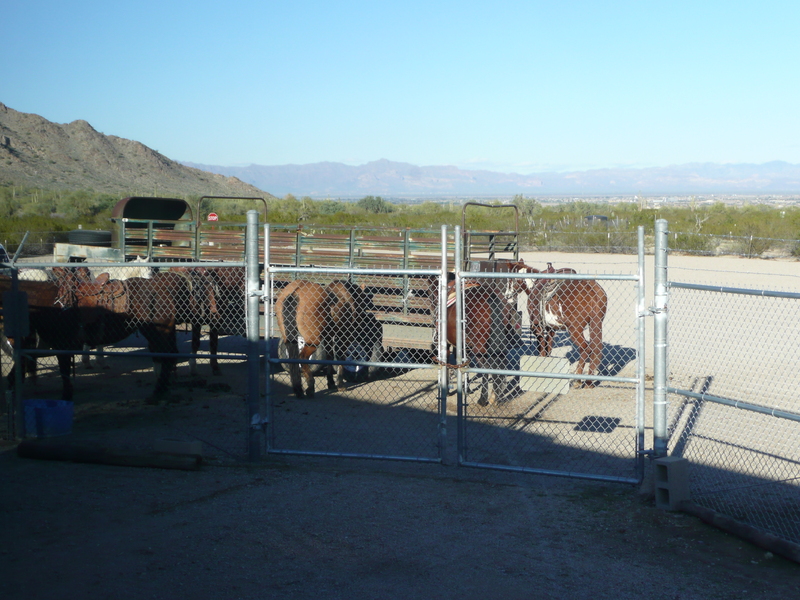 These are Matt’s horses which are just outside our fenced compound on any given day… Did I mention I so love horses and wanted to live on a horse ranch….? Is this not the next best thing for that life dream…? This is Matt, getting his horses saddled up for the two-hour ride he invited us on… Matt is 39 yrs old and owns the MD Ranch that is contracted with San Tan Mountain Park throughout the winter/spring months. Then, he goes to Oregon where he has a ranch and many, many, more horses… Matt is VERY accomplished in his field, he has trail horses, rodeo horses, breeding horses etc. 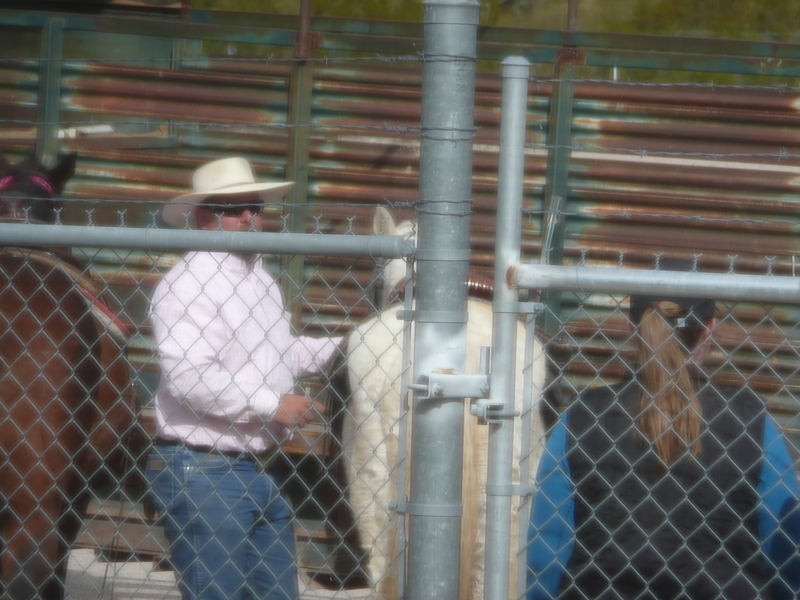 He also competes in events and has won many, many times… We love our life here on the “dream” ranch… and we love Matt…! When Matt invites us to ride, he will never accept payment ($30-$50 plus per person an hour depending on the ride…) but we always give him a nice tip, and I scoop his horses poop around his trailer at the end of the day just so he doesn’t have to do that after a long day on the trails… I don’t mind one bit because I’m living my dream of having horses in my life…,and having the “perfect day” EVERYDAY…! And the ending to the “perfect day” for me, was, when a gentleman, our age( me and Bill), said to me as I took his payment at the window with Bill standing behind me said, “did anyone ever tell you “your smile could melt Alaska..?